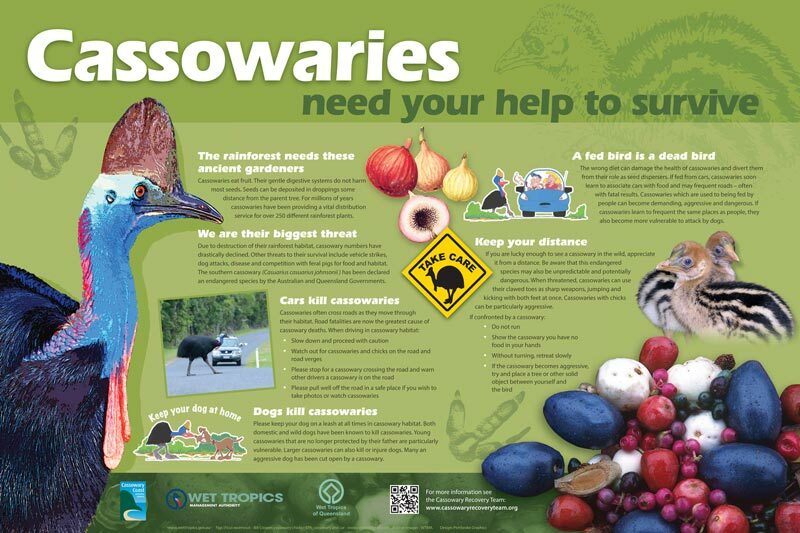 The Wet Tropics Management Authority has developed some new signs to educate people about cassowaries. Cassowary Coast Regional Council will be putting them up where cassowaries are frequently seen. A new sign will also be put up at Coquette Point where cassowaries are often seen on the beach and in the nearby rainforest and swamps. 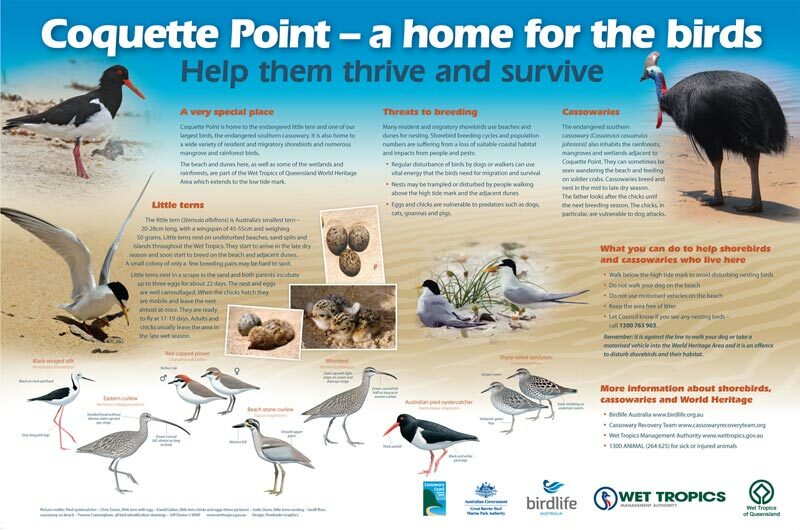 The sign also tells people to look after the little terns and other shorebirds that nest on the dunes and visit the beaches. Looking for the perfect gift for cassowary lovers? 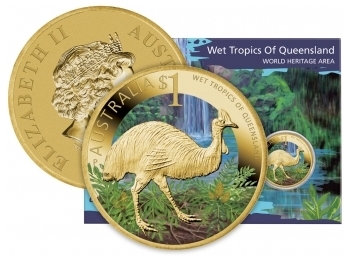 Then you’ll be delighted to know the cassowary is one of the latest additions to Australia’s coinage!